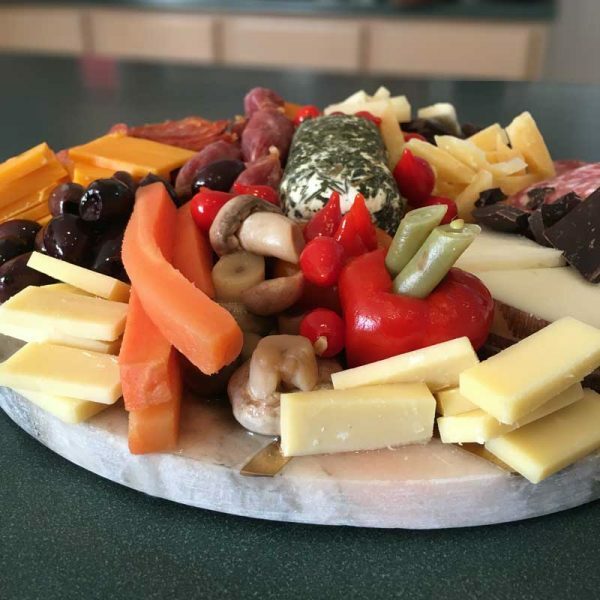 An easy and festive holiday charcuterie board with meat, cheese, pickled veggies and chocolate! No cooking needed. Ask your favorite cheese monger for selection recommendations. Try to mix textures and flavors, so you have something for everybody. The sample sizes are small, so don't be afraid of the "per pound" price. 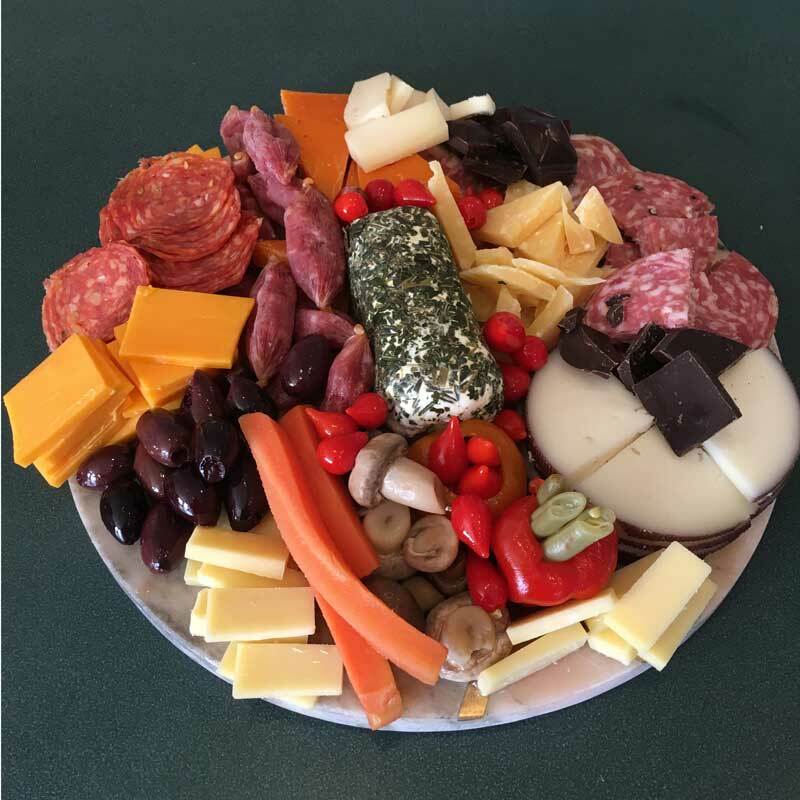 The ingredients for this entire platter were purchased at Whole Foods for less than $35. 2 ounces Sweety Drop Peppers Bold, zesty flavor accented by a tangy-sweet vinegar marinade. .10 pound Mitica Quadrello di Bufala A water buffalo milk cheese produced in the Lombardy region of Italy. 4 ounces Olli Calabrese Spicy Salame Calabrese gets its kick from cayenne pepper and paprika, making it zesty but not overpowering. Find a large decorative platter, cutting board or marble slab to use as the base. Slice any whole items into bite size pieces. Begin by placing a center focus food. For this board, we used the Herbed Goat Cheese log. Begin filling in the spaces with stacked piles of your ingredients. Vary your colors, textures and categories. Be creative, and have fun! There is no real wrong way to place your items. This entry was posted in Recipe Ideas. Bookmark the permalink.